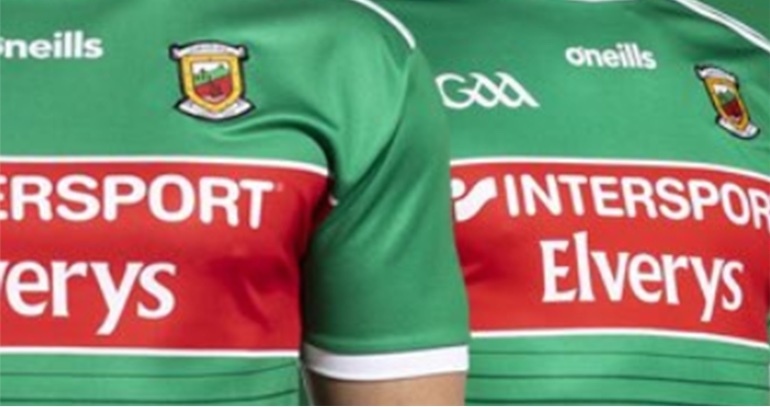 Mayo (NFL Division One v Cavan, 9/2/2019): David Clarke (Ballina Stephenites); Stephen Coen (Hollymount/Carramore), Ger Cafferkey (Ballina Stepnenites), Keith Higgins (Ballyhaunis); Lee Keegan (Westport), Michael Plunkett (Ballintubber), Paddy Durcan (Castlebar Mitchels); Diarmuid O’Connor (Ballintubber), Matthew Ruane (Breaffy); Fionn McDonagh (Westport), Aidan O’Dhea (Breaffy, captain), Jason Doherty (Burrishoole); Evan Regan (Ballina Stephenites), Andy Moran (Ballaghaderreen), Colm Moran (Westport). So it’s five changes from the team that started up in Healy Park against Tyrone. In come David Clarke, Ger Cafferkey, Matthew Ruane (who make his full League debut, having come on as a very late sub in Omagh), Evan Regan and Colm Moran, who also makes his senior debut. Out go Robbie Hennelly, Brendan Harrison, Donal Vaughan, Ciaran Treacy and Brian Reape. We last played Cavan two years ago and the team named for Saturday night contains seven survivors from that clash, which the Breffni County won by two points. David Clarke, Keith Higgins, Paddy Durcan, Lee Keegan and Andy Moran all started for us that day, while Stephen Coen and Evan Regan came on as subs. Keith playing corner and wing back? Excited to see ruane , c moran , mcdonagh and plunket. Feel either Conor Diskin or Ciaran Tracey deserve to start over Regan on form, however a few good games might do Evans confidence the world of good, I still feel he has a lot to offer. What’s the story with Conor Loftus is he injured or just not getting a look in under new management ? Good balance of youth and experience and wouldn’t be surprised to see a few changes before throw in. Thanks, Cormac, sorted that error now. Keith’s good but he’s not that good! I had to lash that post together quickly before dashing out the door to collect one of the kids. Keith Higgins was so impresive at corner back and corner forward last Sunday, that hes now being tried out at corner back and half back!!! A debut for O’ Dhea as well. Slow down Willie Joe …you’re getting a bit carried away there!! Great to see Matty Ruane in there. Hope he gives a good account. Our forgotten All-star in goals is back, Hennelly did feck all wrong but Clarke is better and he’s proved it time and time again. Fair play to James Horan for trying a new combination yet again. Brave and bold. That said I feel we need a win against Cavan to secure Div 1. After that we could afford to experiment all we like against Dublin, Kerry, Galway and Monaghan. Looking forward to seeing Mathew Ruane and Colm Moran getting a start. Evan Regan needs a really big game as does Ger Cafferky. Excited to see my nephew get his first start. Hopefully can bag the 2 points and guarantee safety! Good to see note changes although I’m really confused by the Ger Caff at FB experiment which has failed and failed but is still tried. While he played very well the last day, I would be resting Andy Moran for this game and giving someone like Darren Coen (who we haven’t seen yet) a run out. Be interesting to see how Matthew Ruane and Colm Moran get on. I’d have Treacy In there before Evan Regan but he’s giving everyone a chance before the panel is cut and is suppose that’s the fairest way. I’d love to see Evan take inter county football by the scruff of the neck and nail scores in every Game he has the talent and potential but it just doesn’t seem to be happening but maybe Horan is the man to get it out of him So best of luck to the team and come hurricane or high water we’ll be there roaring them on. Delighted to see Matthew Ruane & Colm Moran named.I was very impressed with Ruane last night for DCU.He has a serious engine.Moran is the best forward I’ve seen at underage level over the last few years in the county.It will be interesting to see how he copes at this level. Conor Loftus was pulling the strings at half forward during the first half in the fbd against Galway. He was subbed at half time, I have read elsewhere this may be due to a knock but he did not look injured when taking his seat in the stand during the second half. Its puzzling as he needs game time if he is to be considered come championship. Once more, I like the look of that team. We certainly can’t say Horan isn’t giving our young guns a chance to impress. Probably wise to not throw too many of them in at the same time, we need that blend of youth and experience. Really interesting to see how Ruane gets on, hoping above all others that he has a great game. Midfield is my big worry for the year ahead, we could really do with Ruane putting his hand up and being a viable option for the summer. Also liking the captaincy rotation. Gives a few players the honour of being captain and adds to their leadership qualities. It seems to suggest that Cillian will once again captain the team when he returns. Good to see other debutants in Colm Moran and Mattie Ruane, we are light at midfield so hopefully Mattie finds his feet over a few games, although I’m not sure he’s physical enough for midfield. Evan Regan has had bad luck with injuries at various times when he looked to be making a breakthrough and when he has got game time recently he looks over eager to impress, hopefully he does the basics well and takes scoreable opportunities that come his way. I just don’t get trying Ger Cafferty again at fullback, he’s very honest and had a good year there in 2013 but has been exposed too often since, I’d persist wth Brendan Harrison at 3 as he can man mark, has pace and is rangy enough that he hopefully will break any high balls that come into the fullback area. Have to say I’m liking Horan Era II, something very purposeful and hopeful about us. Some of the abuse that Ger Cafferkey is getting on Facebook from so called Mayo “fans” is an absolute disgrace. Makes my blood boil and Sums up how toxic an environment that particular platform is. The result will be fragmented performances and no team cohesion. Let’s face it, we can already all name a guaranteed 10 of 15 starters for championship right now. So having some experienced players around the newbies to bed in a gameplan and style of play for summer is critical. Kerry took out two of our best players with bad tackles don’t do the same mayo or we will have to amalagate with Fermanagh for the championship. Longford ref Kelly flashes yellow cards only. Interesting selection…. Will it be the team that takes the field?… I don’t know. James Horan certainly did something that we don’t associate with him last Sunday, and made a few changes to the announced team. 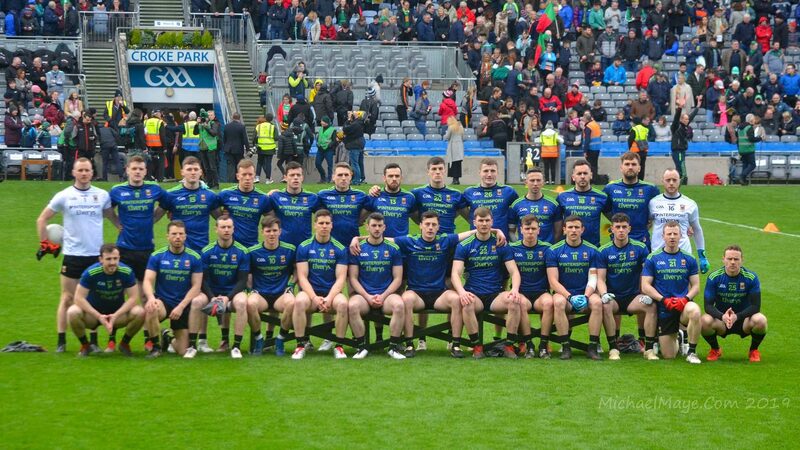 Will this happen on Saturday night, I don’t know for sure, but I do expect one or two changes myself….. For anyone intending to go to the Match, a small bit of information….NO MORE ONLINE TICKETS AVAILABLE FOR MAYO V CAVAN ON SATURDAY…. So if you don’t have a season ticket, make your way to your local SuperValu or Centra, that goes for any Cavan supporter’s as well… Otherwise you will be paying the increased price on the day… but I’m sure that the Cavan supporter’s already know that! Good to see more new lads getting the start. If it was me id be picking the most experience team available to win this game. Its a vital 2 points up for grabs, but have a feeling we’ll come unstuck. Team selection a bit of a gamble, but hope it pays off. People need to lay of Caff a bit, Harrison is the new FB, no harm keeping Ger sharp incase theirs injuries/suspensions…its called building a squad. I got the Tyrone result completely wrong, and hope im wrong again, but I think Cavan will nick this. For whatever reason we just do not perform well in MacHale (i blame the pitch)….hopefully im wrong again. Happy enough with that team. The only one getting a rough deal so far is Boland presuming Loftus unavailable. Keeping Kevin McLoughlin off is probably a good thing as he’ll make an even bigger impact coming on. Would be great if we didn’t need to bring him on. Couldn’t drop McDonagh who grabbed his chance the last day. Let’s hope he keeps doing that. Happy to see Plunkett retained, he also looked good. Articulated well, Larry Duff. Clearly what JH is doing. Glad good performances are getting rewarded and those that have been here before but not capitalized on their chances are getting clean slates with mgmt. That plus some Ws = great morale. I still hope/expect Drake to get a look soon. Not sure that will be the team that starts. Expect at least two changes. We need Matthew Ruane as an option for championship. I hope he does well. Regarding Conor Loftus we forget how long it takes for County footballers to be made. I have mentioned it before but it took Bernard Brogan 4 years to nail down a spot on the Dublin squad and Andy Moran was only coming on as a sub in 2006 with Mayo. Hopefully Conor can develop further. Last week’s Mayo display was very good. Very slick up front I thought. That’s why Im hoping Regan does start. He could fit in very well with quick forward movement. He hasn’t had a real go in that type of game except maybe the Limerick game in the summer. However last weekend was much better in the forward pkay. He deserves his chance again. We might have a situation arriving soon, maybe, where any forward getting into the starting 15 has to be high class quality. Wouldn’t that be a dream for any Mayo fan. We’ve all said many times how proud we have been of the Mayo team over the years. No place for abuse if we’re all supposed to be moving together. You would never hear any player abusing a fan. Player abuse never comes from a true sports fan. Ever. Let the real supporters go and support Mayo and the naysayers can stay at home and peel their corns beside a badly lit fire. I didn’t miss your salute to Cavan either ? WJ – Any idea where its getting the image associated with my posts from, its not one I have stored anywhere? @Leantimes. Supposed to be a smile not a ?. Ok, I see it pulls it from somewhere related to the e-mail address. Interesting. CrossFlan – avatars that appear with comments on the site are generated by Gravatar. It’s a functionality within WordPress and they’re user-generated, I’ve no idea how they work. Further info here: https://en.gravatar.com/. Hope we get the win in McHale Park. It absolutely shocking to see abuse on social media. I’m furious. One thing about the Dubs and other counties – they always support their players no matter what. Furious. I think people should sit back and take in the performances of players especially new ones in this year’s league. And comment after the games. A bit too much of the following here at the moment…..
Like the team but why is A playing when B is clearly far better, great to see C, D and É get a chance, but thought G, H and I would surely get a run at this stage, where the F are they, heard J, K and L going very well at training so expect to see them at some stage, the experience of M and N in the backline will help, though not sure if O should even be on the panel, remember P and Q are out injured so need big games from R, S and T up front, nice to see U back, haven’t seen V or W since last year, thought they had the X factor, wonder Y they’re not there, you’re all cray Z. Will be making the journey down .. Like most posters looking forward to see Ruane in midfield .. Praying he has a good game .. Hopefully the wind and rain will have died off a bit . Saw the Mayo lads train last night ( not in Mayo) . Some commitment these lads put in and so much sacrifice .. Let’s no forget these lads have families and work just like us . It’s not just on Facebook, sadly, where people try to post post abuse about our players. I’ve had to deal with plenty of unacceptable comments here as well. Ger is a regular target in this regard as is Robbie Hennelly and one or two others. Most of these kind of comments never make it to the site but that doesn’t mean that people don’t try to post that type of stuff. Well said Willie Joe. Your moderatorship is what makes this blog so special. As rugby people know since the last World Cup team sports demand not just a good team but a good panel. The rugby people are just now experiencing just how big a panel you need, with three, probably three of first choice four, second row men out of action. We could easily find ourselves missing two or more of our full backs come the business end of the year and where are we then if we do not give a wide range of players game time. We did find ourselves missing our two first choice ‘keepers a few years ago, for example. So for crazy nuts to be cribbing about Ger Cafferkey is, well, just crazy. Good luck Moran at corner forward. Hope u do well.